The Rumble Series is a mighty leap forward in the evolution of portable bass amps. Re-engineered from the ground up, Rumble amps are lighter and louder than ever, with even more power and a classic Fender vibe. A footswitchable overdrive circuit and versatile three-button voicing palette deliver powerful tones ideal for any gig. Additional upgrades include Eminence drivers and premium HF compression tweeters. - removable front grille, extremely lightweight. Overall: After years of using a backbreaking combination of heavy speaker cabinets with separate amp heads, I was looking for something with power, great tone, and low weight. I finally settled on getting the Rumble 500 combo, and would add a companion cabinet when ready. This amp, out of the box, is fantastic. I was able to dial in a nice, meaty bass tone right away, with all the EQ knobs at noon and none of the shape buttons engaged. With the Vintage button in, there is a volume increase and a bit of compression on the tone, and adds some depth to the low end, and is perhaps my favorite thing about this amp. The bright button does what you would expect, and the contour basically gives you the scooped tone, great for slap. Overdrive is cool, though I don't know how much I will use it. 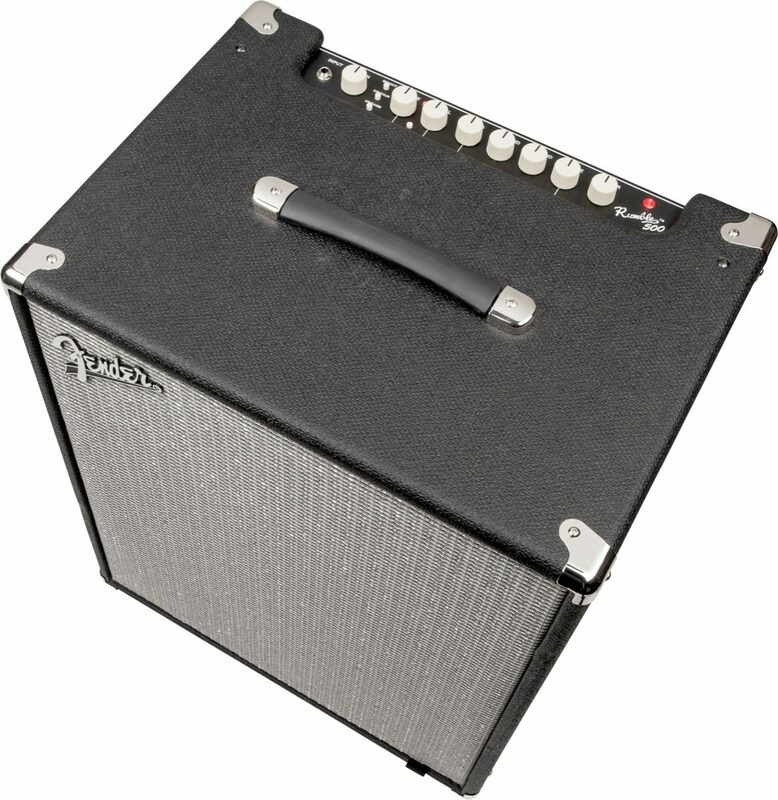 The light weight of the amp is fantastic at 36 lbs, not a back breaker at all. 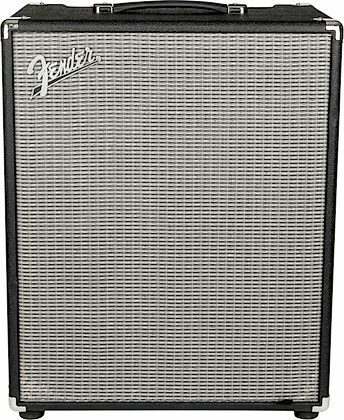 I recently purchased the new Fender 210 cabinet, which pairs up nicely with the 500 combo and is very loud. With just the combo I can easily be heard in most band situations, the added cabinet comes in handy for when more volume is needed. My only real quibble is that the combo doesn't have a tuner out with a mute, something that I was used to having on my previous amp, but I guess I will get used to it. I highly recommend this amp! 41 of 41 people (100%) found this review helpful. Did you? "Fender has created a Monster Bass Combo! " Overall: First off, I have a successful YouTube channel where I demo and review guitar gear...and I'm very picky about where and what I spend my hard-earned coinage on! That being said, I recently was offered a gig as a bassist with a touring band, and needed a solid, portable amp with enough power for nearly any gig without ending up paralyzed from a back injury carrying a 1000lb rig. 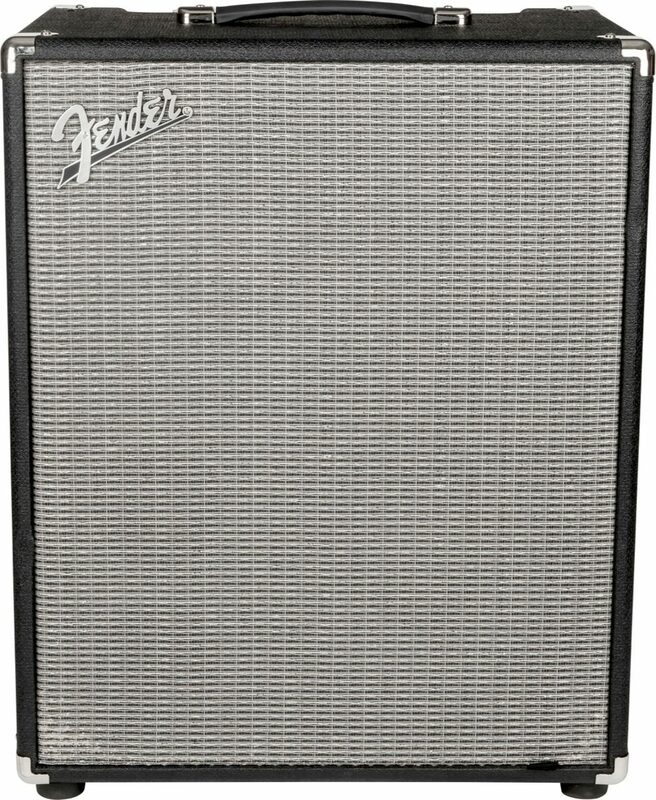 Enter the Fender Rumble 500 V3 combo. This thing not only has all the volume you'll need for virtually any gigging environment, but with additional tone shaping options, a footswitchable overdrive circuit, 4 band EQ and seriously lightweight, this is a bassist's dream amp. Great for home practice, studio recording and live work. This is truly the first amp I've ever had where I'm floored by the tone every time I turn it on. I use a Fender Deluxe Precision Bass Special with Duncan Basslines pickups, and this amp truly has it all. It's easy to dial in funky trebles, rocking and growly midrange tones and HUGE low end for metal, hip-hop, dance, electronica, what have you. It's a versatile MONSTER of an amp, and with a 5 year warranty you're completely covered if some electrical component gives up the ghost. Get one today, I can virtually guarantee you'll be blown away by the sound and versatility of this amp. Style of Music: Rock, pop, bluegrass, Americana, funk, covers.